Curry & cake – the perfect weekend!?! Well I have had another busy weekend in the kitchen. I am one of those people who like to cook from scratch and I love Indian food. 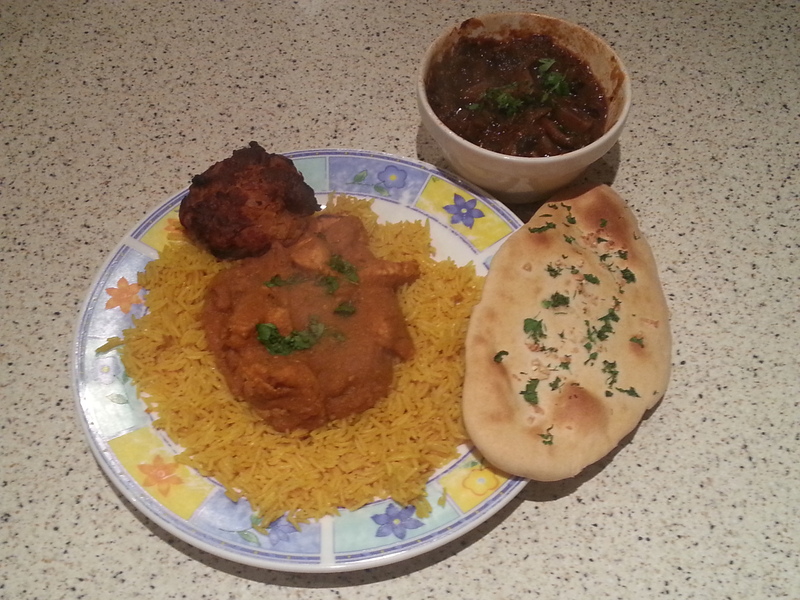 So this weekend I cooked up a chicken korai with mushroom bhaji, onion bhaji, pilau rice and garlic and coriander naan bread – all cooked from scratch. This isn’t difficult but can be a bit time-consuming. The naan bread is an unleavened version which will be in my new book, which is essentially a recipe book containing various breads from around the world. Now I have to say that I do cook a mean curry – I have taken food to a few indian parties and mine is always the first to go, so I must be doing something right. Then again I have been cooking these for years so have had plenty of practice. If you had this from a takeaway it would be very calorific but I only used a little olive oil and the sauce contains a plethora of pureed veg – a good way of slipping veggies into kids! But I have to say that my pride and joy was my cake. 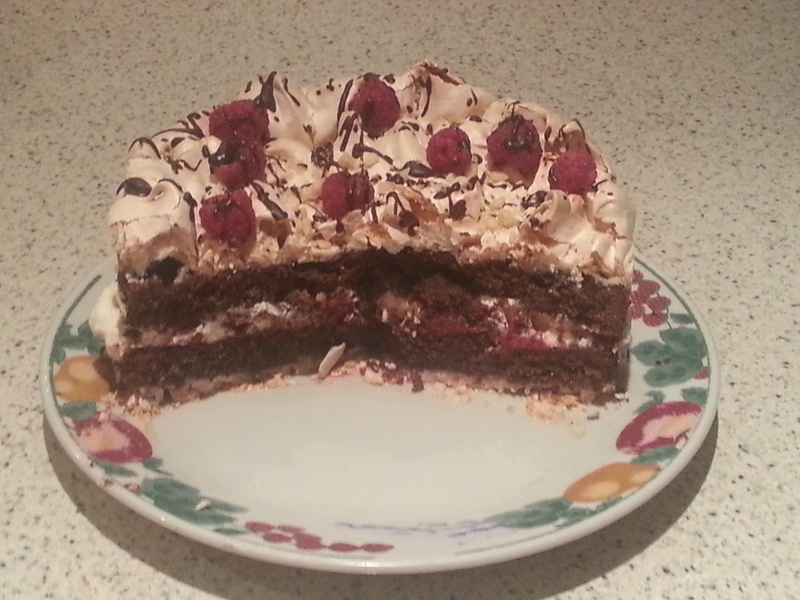 Bearing in mind that I am relatively new to the world of cake baking I constructed a beautiful cake consisting of a chocolate brownie, cream laced with icing sugar and raspberries, and topped with a hazelnut meringue. This certainly had the wow factor and all my family (wife and kids) were taking photos to share with their friends. This cake looks great and pictures don’t really do it justice. 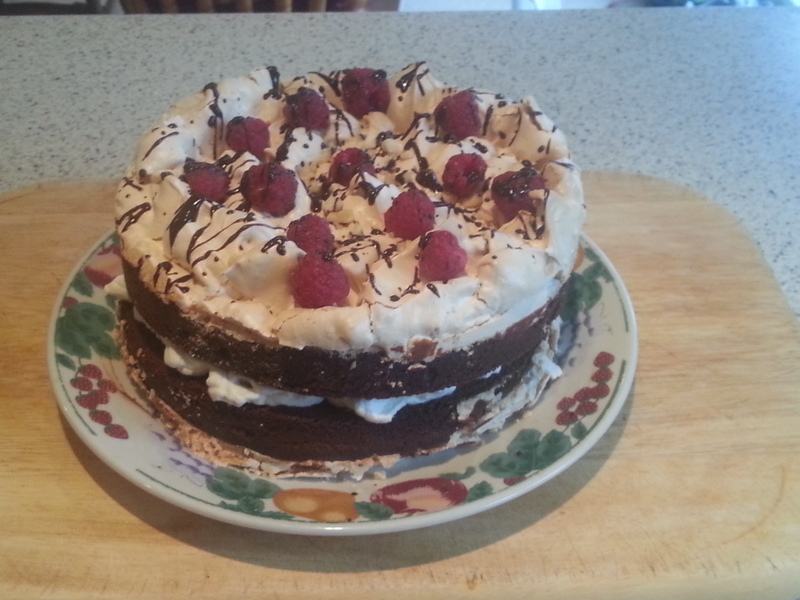 It is a towering cake but surprisingly light as it uses a brownie type cake with light meringue. The sharpness of the raspberries compliment the sweetness really well too. This may look a little daunting but believe me if I can do it anyone can. If you would like a recipe for this one please leave a note and I will post it later. This was taken about 5 minutes later!! 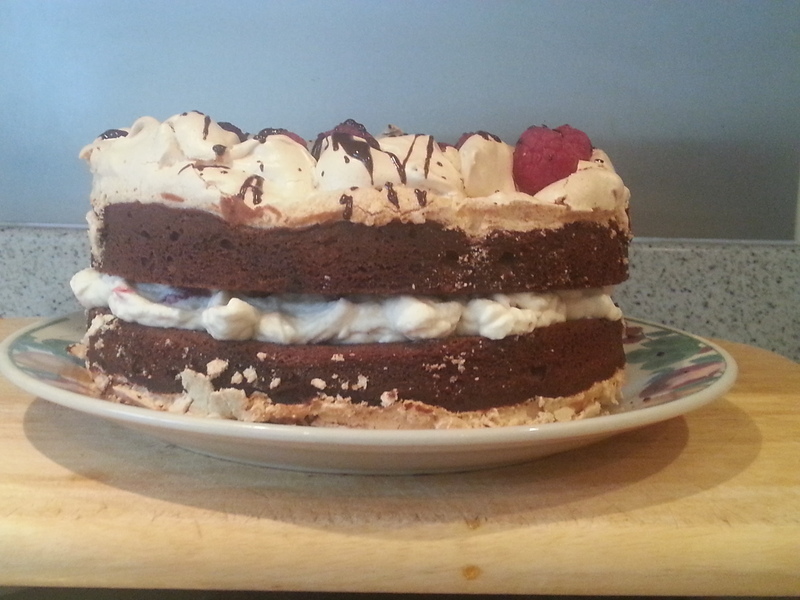 I got 12 portions out of this cake so we all had 2 slices each – this cake will disappear fast!! So if you want to have a go let me know and if there is enough interest I will post the recipe, likewise with the curry.